Flowering shrubs creates sense of enclosure. 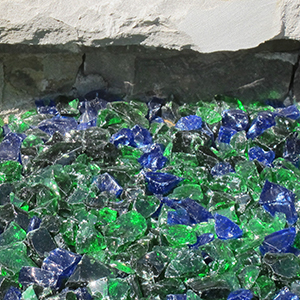 The natural ledgestone water feature, encompassed by the landscape, becomes a focal point. Integrating natural and social spaces to form a multi-sensory experience throughout the growing season. 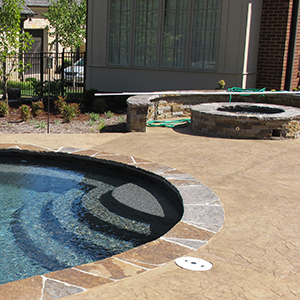 Created in close collaboration with the homeowner, this beautiful backyard oasis is best described as a multi-sensory experience. Heavily influenced by the client’s vivid experiences of the rolling topography of Midwestern golf courses, a mix of evergreen trees and flowering understory trees serve as an opaque privacy screen from the adjacent roadway and residential structures. The surrounding landscape utilizes flowering shrubs to create interest throughout the growing season, while winterberry, redtwig dogwood, and coral bark japanese maples play prominent winter roles in the garden. Entering the space, guests make their arrival through custom native limestone stone and masonry columns into the artfully sculpted lawn area. 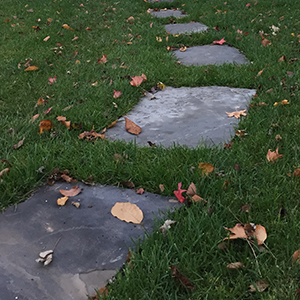 Large flagstones weave between rolling berms of prairie dropseed drawing visitors into the main pool area. 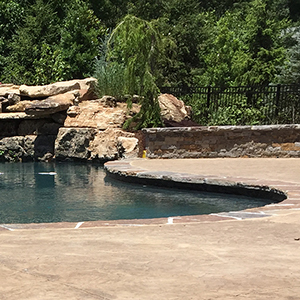 The area surrounding the pool features three distinct social spaces: outdoor kitchen, firepit, and sun deck. 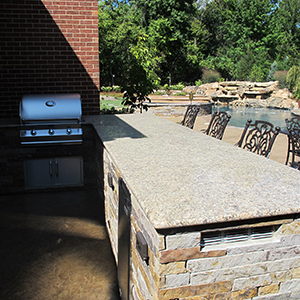 The outdoor kitchen is constructed of native stone, providing a complimentary social space to the adjacent stone firepit and surrounding seating area. 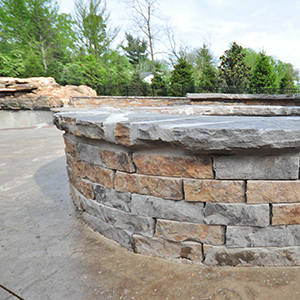 A custom masonry wall in the sun deck area provides a sense of enclosure as well as valuable spillover seating, while orchestrating the transition into the showcase of the landscape: the natural ledgestone water feature. 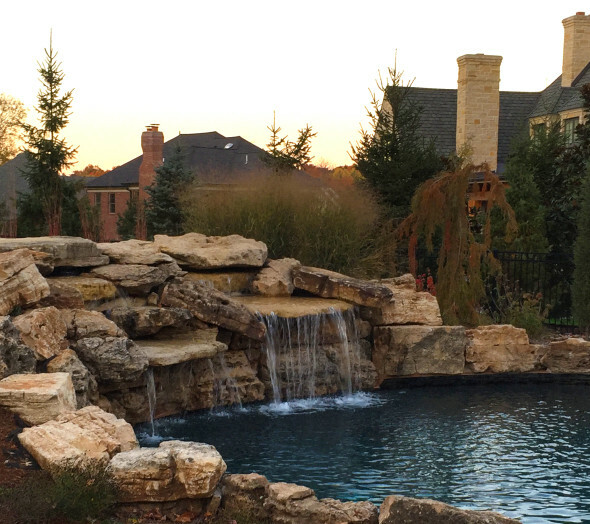 With prominent views not only from the pool area, but the client’s master bedroom as well, the water feature is constructed entirely of locally harvested limestone, serving as a main focal feature both day and night.